Here is my review of FIFA 13 for the PC along with some analysis and review of features including Ultimate Team. These features would apply to the PS3 and Xbox 360 versions as well. EA Sports’ FIFA 13 is perhaps their best iteration of the FIFA series with the most opportunities for continued play and longevity. In this newest version there are more multiplayer features and they are continue to push the social aspects of gameplay. Some of these features include Ultimate Team, online seasons, virtual pro, and the ability to play your friends. I did pre-order FIFA 13 but didn’t get to play much till several days after the Tuesday, September 25th release day. I have spent time playing off and on every since then and have enjoyed the experience so far. In FIFA 12 I spent a lot of time working on and playing my virtual pro. Being able to create yourself (and use EA’s game face) was awesome and I liked being able to unlock new abilities and increase his skill by playing him. For this year they seem to have limited some of the playability of the virtual pro. I liked being able to level up my virtual pro in my career mode as well as unlocking abilities during practice sessions, however they seem to have made some tweaks in FIFA 13 to make it a little more difficult. To unlock the virtual pro you need to start a career and there are some limitations set on what you can do within the career mode. I do like the idea of being able to be called up for international duty simply because it’s another added sense of reality. I will admit that I have not spent a whole lot of time on my virtual pro since I’ve been focused more on the FIFA Ultimate Team this time around. The most fun I’ve had so far this year is playing FIFA Ultimate Team (or FUT). While this was available in FIFA 12 I did not get into it. For whatever reason I have enjoyed the FUT in FIFA 13. For those who do not know what FUT is I can try to explain it. In Ultimate Team you develop a team of players by purchasing “cards.” The cards come in packs, which can be purchased in the store, or can be traded or bought on their auction house. By playing matches (or selling cards) you earn FIFA coins which allow you to purchase more cards. There are 3 levels of cards (bronze, silver, gold) as well as varying degrees of rarity or “in-form” cards. There are additional cards that need to be used including managers, coaches and other staff, contracts (used to allow your playing to keep playing or your manager to continue coaching), fitness, morale, healing, and some others. The big thing with FIFA Ultimate Team is that you need to pay attention to much more than just getting all the best players you can. Team chemistry plays a major role in how well your team will play together. A high chemistry bronze level team can outplay a low level chemistry gold team, however the person’s skill also plays a role in this. Chemistry is affected by players’ position, nationality, preferred formation, and the league they play in. Chemistry is then also affected by the Manager and what formation they prefer to use. The FIFA Ultimate Team idea is a very interesting one to me (and opens up all kinds of micro transition possibilities for EA). I’ve really gotten into playing FUT this year and have been trying to build a good solid team, although I’m still using mostly silver/bronze players. Unfortunately for me I did a lot of changing to start and wasted a lot of coins on players that I don’t use anymore (hmmm…kind of like some Premier League teams out there). It also doesn’t help my case that I don’t have a whole lot of skill as a FIFA player. A really nice addition with the Ultimate Team is the web app available that allows you to do a lot of the purchasing as well as team setup while not in-game. EAS FC is the EA Sports Football Club social center, more or less. You can track some of your achievements as well as your level and xp gains while also being able to compare yourself to your friends. In addition it gives you different challenges and a new feature added is the ability to customize your experience by purchasing various vanity items and power boosts in the EAS FC catalogue. The major addition to EAS FC this year is the Match Day feature. This gives players the ability to play as their favorite club and compete in several different style of matches. You can play a normal match as part of the Kick Off option or choose from Live Fixtures (a choice of fixtures from your favorite club) or one of the Games of the Week. In addition there is the option to View Form for clubs. The Match Day feature tracks the form of teams and is based on their current play within real live competitions. For example, this week FC Barcelona and Real Madrid are both in form teams while Manchester United and Atletico Madrid are out of form. The view form shows which areas of the field are gaining or losing form as well, Attack, Midfield, or Defense. This is a really cool addition despite the fact that I’ve not really played it much at all. It’s great for fans who want to use their own superstitions to attempt to influence the outcome of an upcoming match or perhaps change the outcome of a recent loss. Another great new feature is the addition of skill games. These skill games are tracked with global leaderboards to see who amasses the most points. Each skill game begins at a low level and you must work your way up through the levels from Bronze to Silver to Gold then Legendary. I have only played a few of these and like that they come up before playing any match against the A.I. Some of the games include: penalty shots, free kicks, crossing the ball, dribbling, finesse shots, and more. It’s a great idea and they can become very addicting. Playing matches in FIFA 13 require the use of tactics and ability more than ever before, especially being able to use passing effectively along with building up the play to find a goal. Defense in particular has become even closer to being realistic. I definitely like the ability of players to recover. In FIFA 12 I always hated missing a tackle and being left out there either stumbling or still sliding past them. This can still occur, but many times a missed sliding tackle has the player then pop back up like many players would do. There is also more of a battle for the ball and the ball is not as “sticky” as in the past. A pass doesn’t always stick to a play, but can rebound a bit. This is where having one-touch control comes into play. With the new one-touch controls you have more control over your player taking the ball. It’s not perfect, but it is much more realistic. I have noticed that goalkeeping is another area that is more realistic. Keepers will parry balls, and not always parry them away, but sometimes make mistakes. Which leads to the A.I. which seems to finally be starting to get much better at being a teammate. Players will now crash the goal more often to be ready for the rebound while also making smarter runs for you. Overall the gameplay is much better than past games. It takes more skill to be good especially at higher levels of the game. I have enjoyed the graphics of FIFA 13. A lot of the players are looking more and more realistic. For players with long hair they still have a difficult time getting that right, but for the most part players are looking like who they are. This also goes for their mannerisms on the field. The system requirements for the PC are fairly low for the minimum and most computers within the past 3-5 years should be able to handle it. 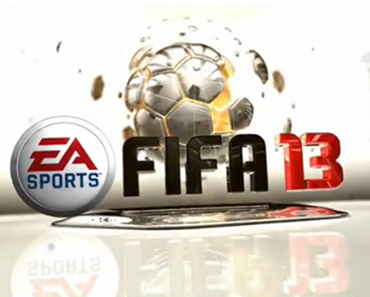 The new FIFA 13 has a lot of great additions that I have really enjoyed. The gameplay seems to be getting more and more realistic and the addition of several new features should increase its playability and longevity. So far my 2 main gripes have to do with the virtual pro not being as accessible and playable as I would like. I also do not like that you can’t skip some of the in-game cinematics such as substitutions. I know it takes forever during a live game, but when I’m playing a video game I don’t need to see him trotting to the sideline and slapping high fives with the player coming on for him. For my rating I would give it a 9/10. If you don’t own this game, go out and get it. You can purchase FIFA 13 for the PC through Origin and it is only $39.95 as compared to the $59.95 if you want it for XBOX or PS3. *Disclaimer* I will leave a disclaimer that I’m not a great FIFA player. I would say that I’m pretty good and can win a few on the World Class setting, but, I mainly play the game for the fun of it.